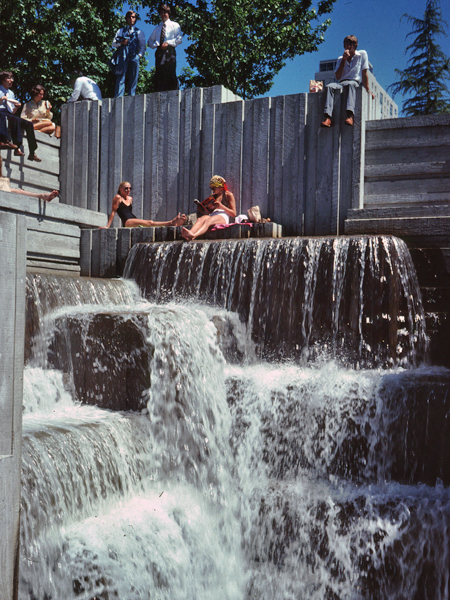 Completed by Lawrence Halprin & Associates under the design direction of Angela Danadjieva, the first phase of this 5.5-acre park opened in 1976 and remains one of the most compelling treatises on postwar landscape architecture. 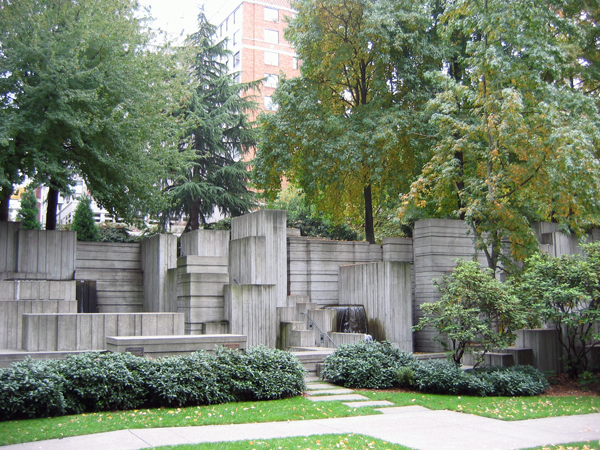 The first park built over a highway, Freeway Park sits perched above Interstate 5 in downtown Seattle, where it uses the air rights of the interstate. 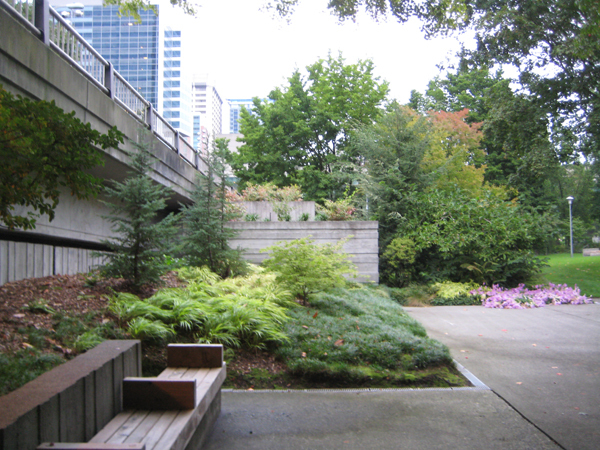 The park is defined by a series of irregular, linked plazas that are intertwined and enclosed by board-formed concrete planting containers and walls. 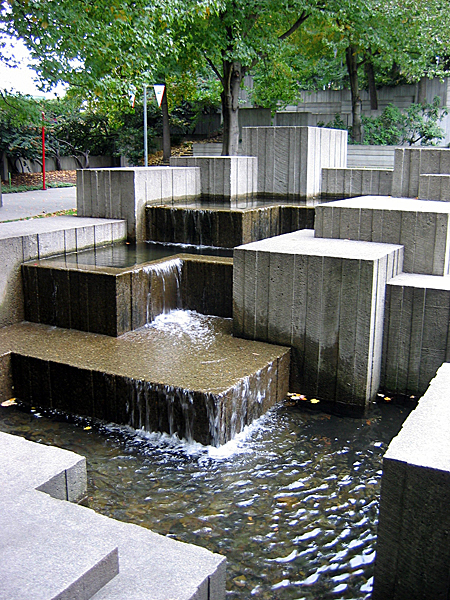 Halprin and Danadjieva had previously collaborated on Portland’s Auditorium Forecourt, which abstracted a mountain waterfall. 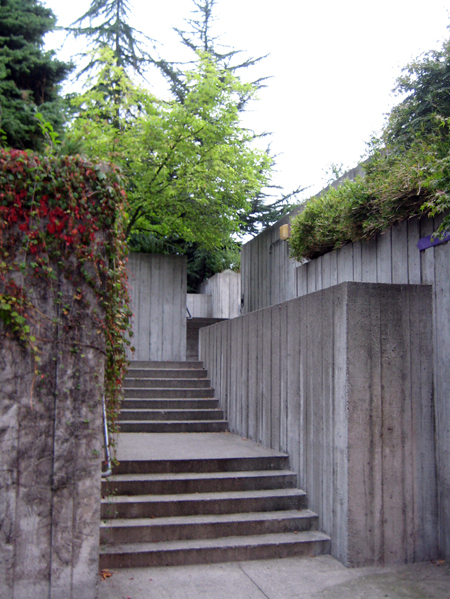 Here, Halprin’s office abstracted the topographic undulations of the city’s landscape. 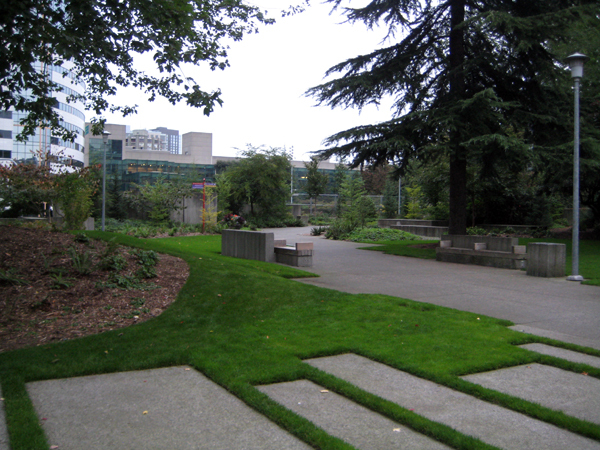 The separate areas of the park, known as the Central Plaza, East Plaza, and West Plaza, achieve consistency and cohesion through a shared materials palette of concrete, broadleaf evergreen plantings, and site furnishings. 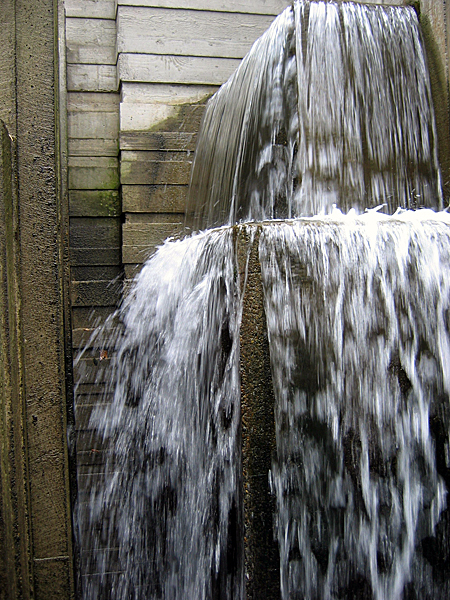 The spaces are differentiated through the dynamism of the water features that occupy the spaces and the attendant differentiation of moods. 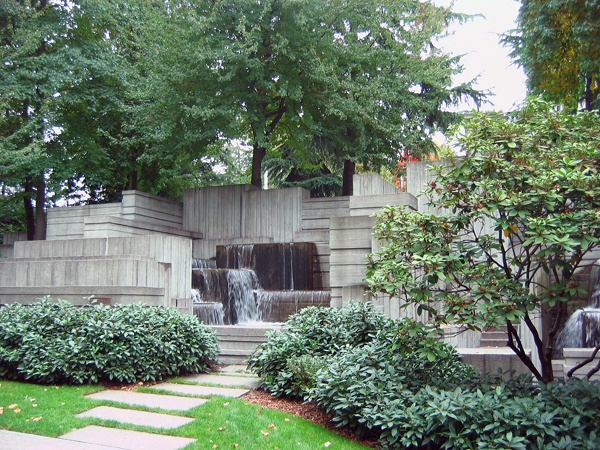 A fourth space, the Naramore Fountain by sculptor George Tsutakawa, predates Freeway Park and was integrated into the larger design. The park has continued to evolve under the direction of Danadjieva.